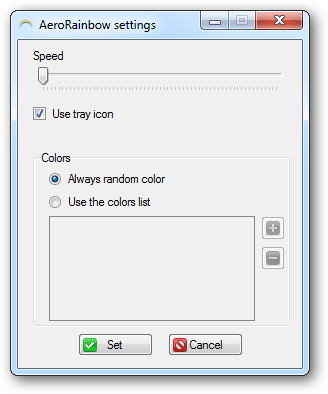 AeroRainbow is a free portable tool that changes the aero color to random colors automatically. Start AeroRainbow : To start the app. AeroRainbow Settings : To change the settings of the app. Close AeroRainbow : To close the app.